With the Crisis Text Line celebrating its fifth year in existence, it’s worth taking a look at the skills used by the Crisis Counselors (CC’s) who use them to help people move from their “hot moment” and get them to a “cool calm.” These skills can assist mediators reflect on the similarities of the skills with how they are taught and its implications on mediation sessions. 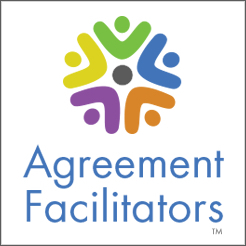 Mediators can also discern how to adapt these skills to enhance their abilities in engaging people in conflicts and disputes. What exactly is Crisis Text Line? It is a free, 24/7 texting service that provides support to people in crisis. Yes, all via texting. Through text messages, volunteer CC’s are able to use similar skills that mediators use including slowing the situation down, gaining their perspective through active listening, building rapport, and joint problem solving. How many people have CC’s helped? There have been a total of 75 million messages exchanged in just five years. These statistics provides a lot of data that among other things, reveals what CC’s approaches are most effective. This can then help shape trainings and remind CC’s what the best practices are. . For mediators, it gives you the opportunity to also reflect and see how it applies to your profession. The four key skills used by CC’s are validating, strength ID’s, empathetic responses, and paraphrasing. Keep in mind each message is a maximum of 160 characters so each message a CC sends has to be well thought and concise. A Crisis Counselor also has to be cool under pressure as in some instances the person can be suicidal. The job of a Crisis Counselor is clearly not for everyone. Validating: This lets the texter know that it is ok to be feeling what they are feeling. This could include a variety of emotions such as stress, anger, devastation, or feeling overwhelmed or abandoned. The CC tells them it is normal to feel that way based on what they are experiencing. The only way to get that information from them is by using questions that are not judging or accusatory but rather frequently open-ended. This invites them to share what is going on. Strength ID: A Crisis Counselor uses certain words to help a texter see specific, positive things about themselves. Think about it- if the texter is in a crisis, in a world of hurt, and has a current mindset where they are not feeling good about themselves, a Crisis Counselor can help shift that perspective through the use of strength ID’s. Pointing out that they are brave, impressive, courageous, and strong gets them to start seeing themselves differently. If you are thinking, well how can you genuinely say that to a texter? Consider this, they are reaching out when they feel like they have nowhere else to go- if that is not brave and strong, tell me- what is? Paraphrasing/reflection: Texters share a lot of information, which is not a surprise considering they are going through so much. Paraphrasing via text is not much different than doing it in person. It is a shortened version of summarizing that lets the person know you have followed the story, you have an understanding of what they are going through, and you also importantly understand the emotions associated with it. The reflection part helps avoid your paraphrasing from sounding robotic. You are not just offering a bullet-pointed recap of everything. It includes the emotion associated with the experience. Similarly to being an effective mediator, effective Crisis Counselors cannot just know or memorize the skills. You have to be able to handle the pressure, be able to use the right skills, in the right way, at the right time. It is clearly an art form that is backed by science and data, LOTS of data (75 million messages worth!). Reflecting on the skills that allow Crisis Counselors to help people move from their hot moments to cool calms can allow you to become a more effective mediator as both roles are grounded in the same principles: de-escalating tense emotions, active listening, building rapport, and working together towards an outcome that will help the person and leave them feeling better off prior to looking to you for help.